An examination of the partnership between Jimmy Iovine and Dr. Dre - one the son of a Brooklyn longshoreman, the other straight out of Compton - and their leading roles in a chain of transformative events in contemporary culture. Though the title implies it offers a remake of a 1958 Tony Curtis movie, instead 2017�s The Defiant Ones gives us a documentary about the music business. In particular, it focuses on the dual careers and eventual partnership of Dr. Dre and Jimmy Iovine. After a prologue that looks at problems related to the sale of the �Beats� line to Apple, we then trace the separate lives of Dre and Iovine. We see Dre�s start with NWA and his move to the recording booth as well as Iovine�s work as a producer who founded Interscope Records. We watch their ups and downs all along the way as well as how they joined forces. Defiant provides the usual mix of archival footage and interviews. In addition to Dre and Iovine, we hear from attorneys Howard King and Peter Paterno, managers Paul Rosenberg and Jon Landau, Dre�s mother Verna Griffin, Iovine�s sister Janet Mormile, nightclub manager Alonzo Williams, Sony Music chairman Doug Morris, MTV host Fab 5 Freddy, former wife Vicki Iovine, attorney Allen Grubman, label founder David Geffen, A&R executive Tom Whalley, Interscope Head of Business Affairs David Cohen, Interscope Vice Chairman Doug Berman, TVT Records founder Steve Gottlieb, former label executives Step Johnson, Steve Stoute and Michael Fuchs, financial advisor Paul Wachter, film producer Larry Gordon, Dre�s wife Nicole Young, Beats president Luke Wood, and musicians Bruce Springsteen, Gwen Stefani, Will.I.Am, Eminem, Snoop Dogg, Tom Petty, the DOC, Sean �Puffy� Combs, Bono, Ice Cube, Trent Reznor, Patti Smith, Kendrick Lamar, Dee Barnes, Nas, DJ Yella, MC Ren, and Stevie Nicks. If forced to pick a negative about Defiant, it�d relate to some of the prominent figures we don�t hear from during the interviews. In particular, the absence of Marilyn Manson and Lady Gaga � both of whom figure fairly strongly in the narrative � proves to be a disappointment. But only a minor one, as I can�t gripe with the roster of participants who do appear. Defiant comes with major names, and all offer useful information that helps flesh out the subject matter. 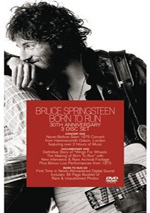 I don�t think I�ll ever be able to listen to �Born to Run� again without the sound of Springsteen barking �STICK!� in my head. Of course, Iovine and Dre reside at the core of the documentary, and they hold up their end of the bargain. They seem blunt and honest as they cover their careers and lives � this may be an �authorized� documentary, but it doesn�t appear to pull punches. Director Allen Hughes delivers all of this in a tight, brisk package that keeps us with it for the entire four-plus hours. Okay, I�ll admit that the inevitable �happily ever after� ending seems a bit trite, and a few other moments toward the finale sag a bit, but those are minor complaints. That�s because Defiant ones remains almost shockingly engaging across its running time. 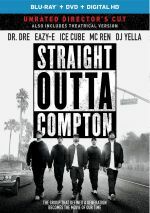 Usually documentaries like this fare best in their subjects� �early days�, back when the subjects had something to prove. Once Dre and Iovine attained success, the story should get less interesting. But it doesn�t, partly because Iovine and Dre never rest on their proverbial laurels. Rather than fall into �Fat and Happy Land�, they continue to work, and the ways they stay at the center of the music industry ensure that the documentary continues to sizzle. All of this makes Defiant Ones a terrific ride. Of course, if the music involved interests you, that becomes a bonus, but I think the program should succeed for anyone. 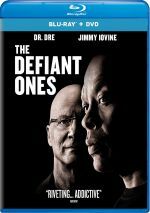 The Defiant Ones appears in an aspect ratio of approximately 1.78:1 on this Blu-ray Disc. With its mix of new interviews and archival footage, Sum looked good for this sort of program. As always, I viewed the old material and the new shots with different expectations, as the archival stuff jumped all over the place. It could look pretty good at times, but we also got some messy, clips. I didn�t have any real problems with those, however, as I figured they were about as good as we could get. In any case, the flaws of the old bits didn�t interfere with my enjoyment of the program. They blended just fine and didn�t cause distractions. Overall, the new footage offered nice visuals. Sharpness was quite good, as virtually no softness impacted on the modern interviews. Those elements appeared concise and accurate. Colors were reasonably natural, and no notable defects affected the new footage. Blacks and shadows followed suit, as they seemed perfectly positive. Overall, the visuals were solid given the program�s parameters. As for the DTS-HD MA 5.1 soundtrack of Defiant, its reliance on music made it a little livelier than I�d expect from a documentary. Songs were a constant companion, and they spread to the side and rear speakers. Stereo delineation was positive and the overall soundfield seemed acceptable. Audio quality was solid. The new interview comments sounded just fine, as they offered perfectly acceptable clarity. No issues with edginess or intelligibility occurred, as they provided warm and natural tones. Music also demonstrated good range and definition, while the occasional effects appeared decent. This mix did enough right to earn a �B�. No extras appear on the Blu-rays, but the package does include a DVD copy of the film. A brisk, involving documentary, The Defiant Ones delivers a rich experience. It gets into its dual subjects well and keeps us engaged from start to finish. The Blu-rays offer generally positive picture and audio but they lack supplements. Even without bonus materials, this becomes a worthwhile investment.